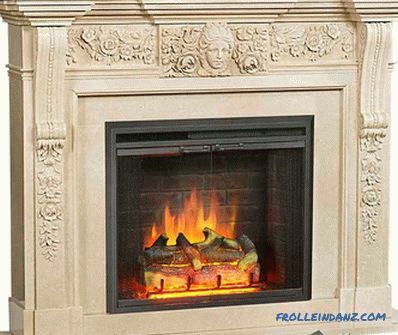 Fireplaces are very popular among people. 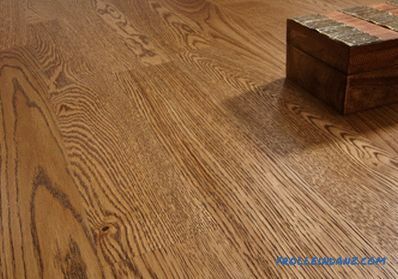 Nowadays, you can often see them in the interior of modern homes. 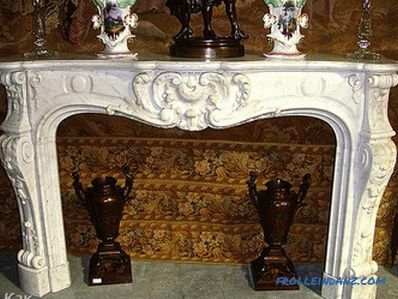 In shopping centers there is a wide choice of finished products, but it will be much more interesting to make a portal for the fireplace yourself. 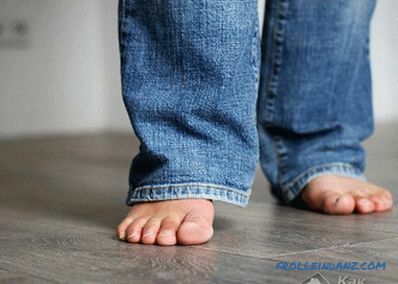 The advantage of a homemade product is that you can choose the most convenient material, design and size yourself, depending on your financial situation. To do this, you need to follow simple rules and show a little imagination and creativity. 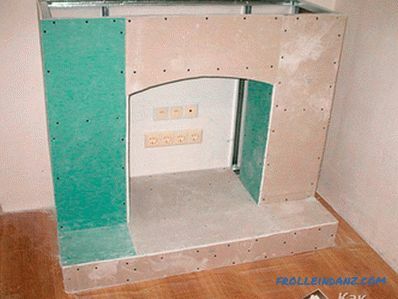 In this article we will explain how to make a portal for the fireplace with your own hands from drywall, give step by step instructions, as well as video and photo materials. First, decide on the materials from which you want to make a portal. The article will give an example, guided by which you can easily achieve your goal. They will be It is good to frame this refined design, which brings warmth and comfort to the house. In accordance with the drawings, a framework is constructed of large elements, onto which decorative details are attached later. 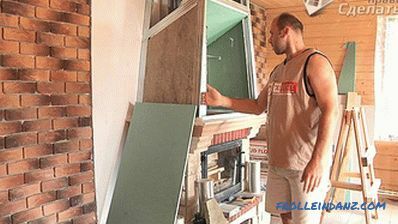 If the portal is made of plasterboard, then it is better to make a framework for it from aluminum. The guides are attached as rigidly as possible to the reference planes. 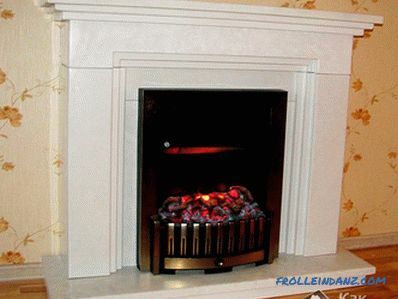 Drywall Perfect for fireplace portals with electric heating. With it, you can simulate a variety of product options. 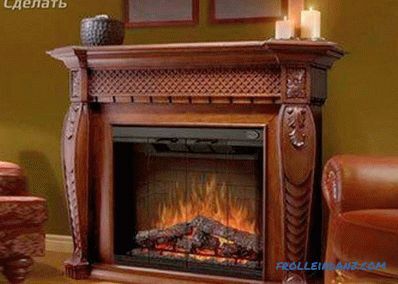 First, determine the position of the portal (along the wall or in the corner) and take measurements under the electric fireplace. 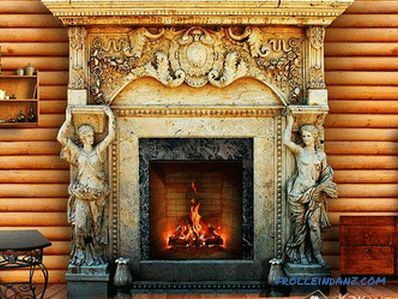 Then proceed to the manufacture of the framework for the podium of the fireplace and under the portal with a furnace. 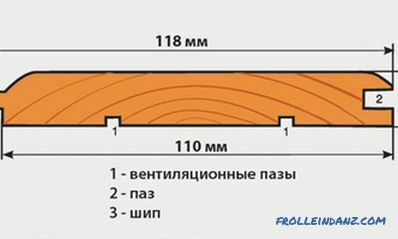 Strengthen the frame in width and height of the structure with a rack profile. 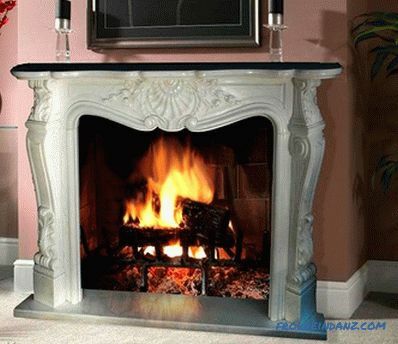 Try on the electric fireplace to the opening from the profile, make sure that it is not narrow. Now begin to work with electrical wiring, opposite the exhaust passages on the inside of the portal, cut the opening for cable passage. When you do this work, boldly sheathe the product with plasterboard, using self-tapping screws with a fine thread, not longer than 2.5 cm. 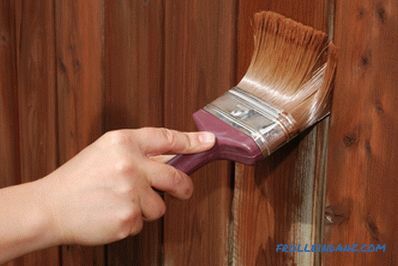 After, soak the entire surface with a deep penetration primer and apply a decorative layer. A variety of materials can be used as decoration. Suitable heat-resistant acrylic paint, artificial stone, tapestry cloth, self-adhesive film, and even stucco molding. The next stage of the work will be the fabrication of a pipe for the fireplace podium. Here you can give free rein to your imagination and choose any shape you like. 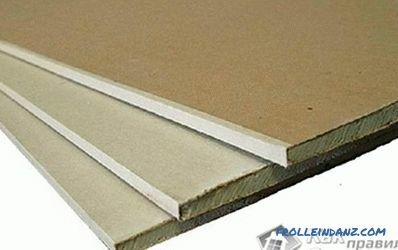 In the work we will also use drywall and profile. We start by mounting the frame of the desired shape. Then we cut the opening in the upper part of the portal and fasten the frame with the guide profiles to the wall. 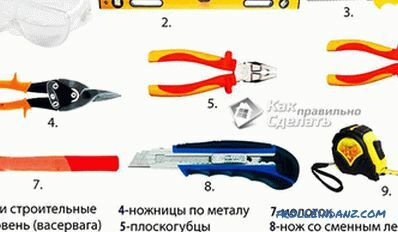 You can attach dowel-nails or screws with a large thread. On the contrary, we perform the same operation, keeping the distance. Between ourselves we connect the skeleton with the remains of a profile, we strengthen it with the same method as the portal. Now you need to sheathe the pipe with a sheet of plasterboard, primed and decorated. Portal design can be both simple and with complex design details. 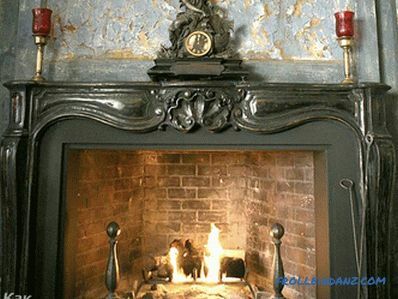 But do not take plywood or wood for fireplaces, because they are cracked from streams of warm air masses. Then you can glue the décor if you have planned it. And you can get by with the technique of minimalism, and leave the frame in the form of a simple box, as it is, without complicating it with details. For beauty, you can decorate the frame with bricks, tiles, in a word, everything that you want. 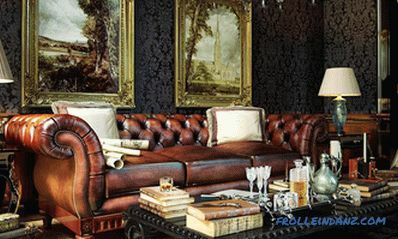 Having done everything to your liking, you can gladly relax in a comfortable chair near the work of your hands.